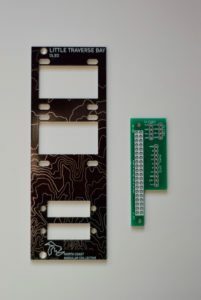 Overview: Little Traverse Bay is a panel and GPIO Expander Hat for an OLED screen expansion module to the Terminal Tedium Eurorack module that was designed by mxmxmx. When built, Little Traverse Bay provides two OLED screens that can display information from Pure Data patches on the Terminal Tedium. 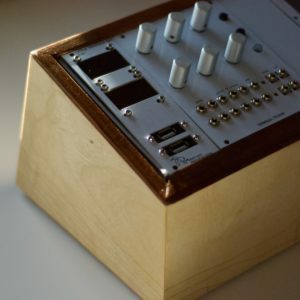 It also features two USB passthroughs that can be used to expose USB ports from the Raspberry Pi to the front of your Eurorack. 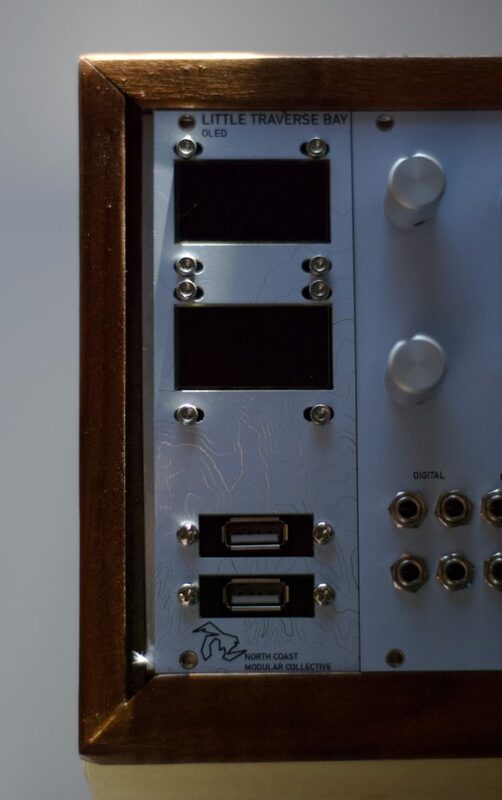 The panel is designed by North Coast Modular Collective, but in collaboration with Gerald Stevens and Sean Rieger. 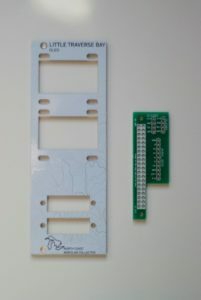 In addition to the panel, a GPIO OLED Expander Hat is included with the panel. 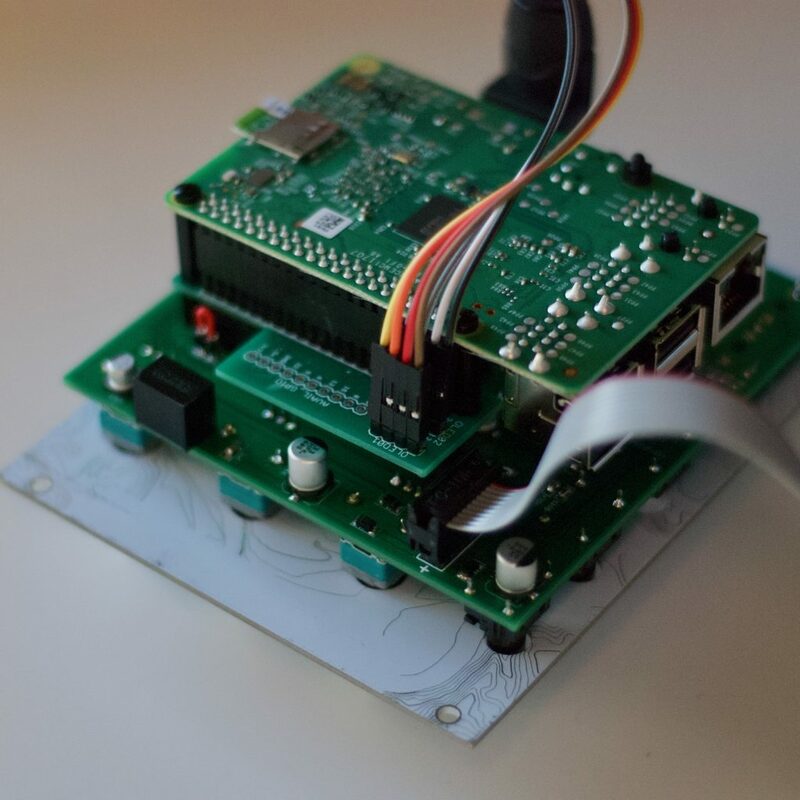 This board, when soldered with headers, sits between the Terminal Tedium and Raspberry Pi. It has specific outputs for two OLED screens as well as a breakout for the rest of the GPIO. 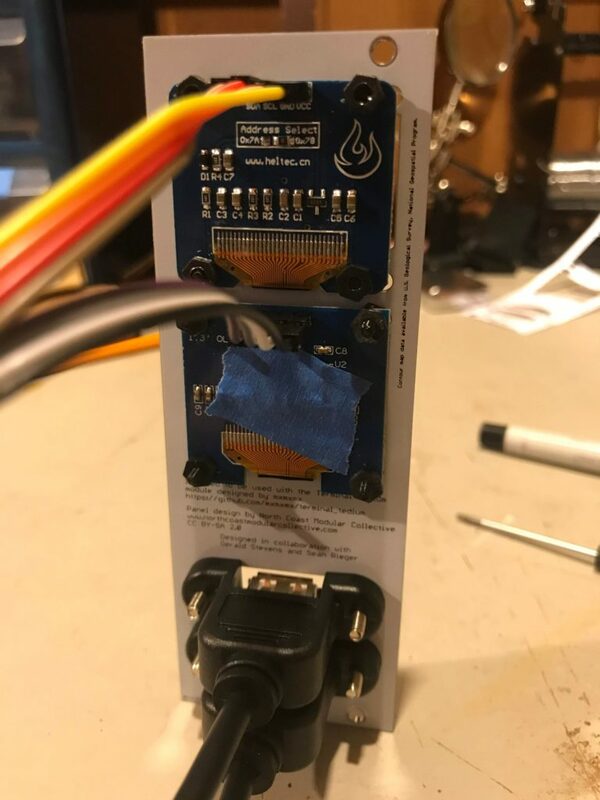 The instructions, BOM, and code for how to DIY build this and use it with a Terminal Tedium are a work in progress on Github.